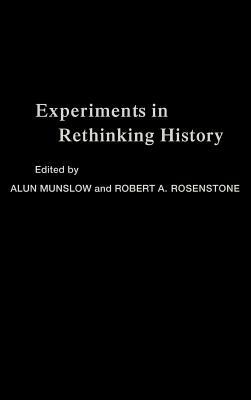 Alun Munslow is Professor of History and Historical Theory at Staffordshire University. He is the author of Deconstructing History, The Routledge Companion to Historical Studies and most recently The New History and is the UK editor of Rethinking History: The Journal of Theory and Practice. Robert A. Rosenstone, Professor of History at the California Institute of Technology, is author of six books, including Romantic Revolutionary: A Biogrpahy of John Reed, Mirror in the Shrine: American Encounters with Meiji Japan, Visions of the Past: The Challenge of Film to Our Idea of History and King of Odessa. Currently he serves as Founding Editor of Rethinking History: The Journal of Theory and Practice.